Materials selection, design, construction, field-testing—these state-of-the-art practices developed over the life of our company combine to make Patagonia’s down products the most trusted anywhere. After 45 years of experience, now we’re making down sleeping bags. Streamlined, versatile, minimalist-minded warmth, ideal for a climber’s or trekker’s essentials-only kit. 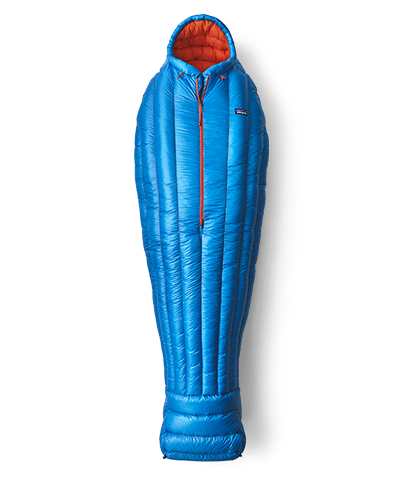 Three-season efficiency and comfort for technical outings ranging from casual to rugged. 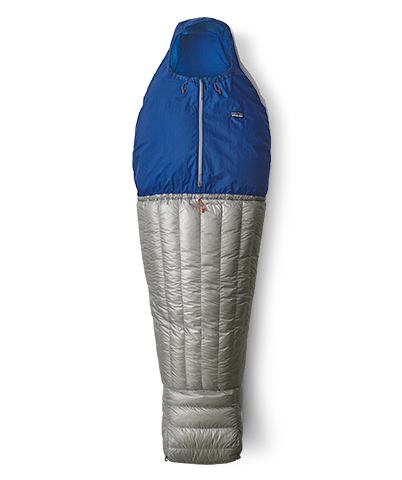 A weight-saving “elephant's foot” sleeping bag built to be paired with a belay parka for the spartan bivies of minimalist alpine climbing; it's insulated with 850-fill-power Advanced Global Traceable Down (goose down certified by NSF International, traced from parent farm to apparel factory to help ensure that the birds are not force-fed or live-plucked). 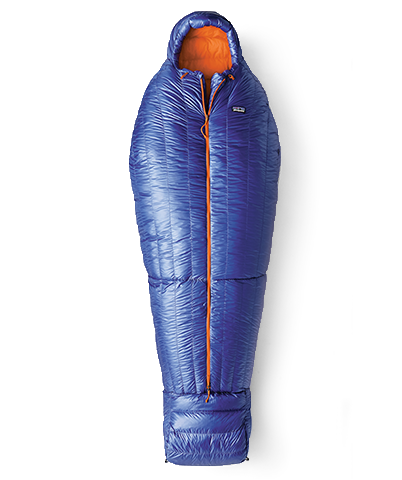 The 850 Down Sleeping Bag is an elegant, real-world bag, built with the best materials available and 45 years of down-construction expertise.